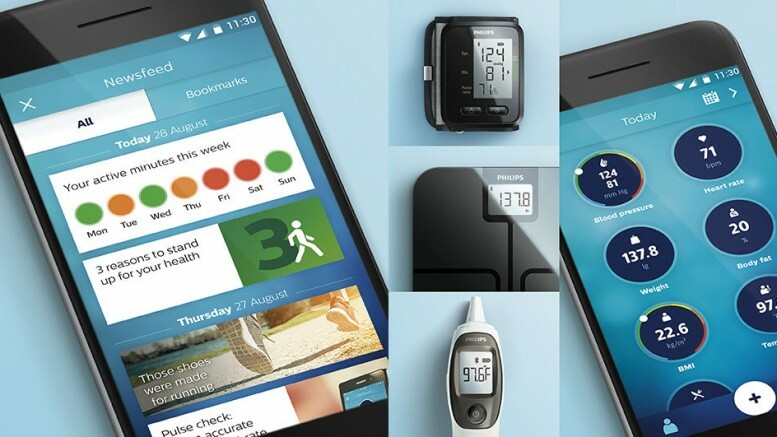 Royal Philips (NYSE: PHG, AEX: PHI) today announced the global availability of wearable technologies and the first in a series of personal health programs that empower consumers to take greater control of their health. The medical-grade health monitoring devices — a health watch, connected scale, blood pressure monitor and thermometer — and a fully integrated companion HealthSuite Health App will be available at www.philips.com/healthprograms starting today. Over 66 million Americans over the age of 50 have at least one chronic disease1 yet, research suggests that up to 90 percent of chronic conditions can be prevented through lifestyle changes.2 Philips’ new products are designed to help those at risk of chronic disease to start measuring, keep monitoring and stay motivated in creating sustainable behavior change. The programs represent a new era in connected care for consumers, patients and health providers, as healthcare continues to move outside the hospital and into our homes and everyday lives. They are built on the Philips HealthSuite digital platform, an open and secure, cloud-based platform that collects and analyzes health and other data from multiple devices and sources. The Philips HealthSuite Health App is free and available on iOS and Android starting today. The health devices can be purchased directly from Philips’ website or via Amazon.